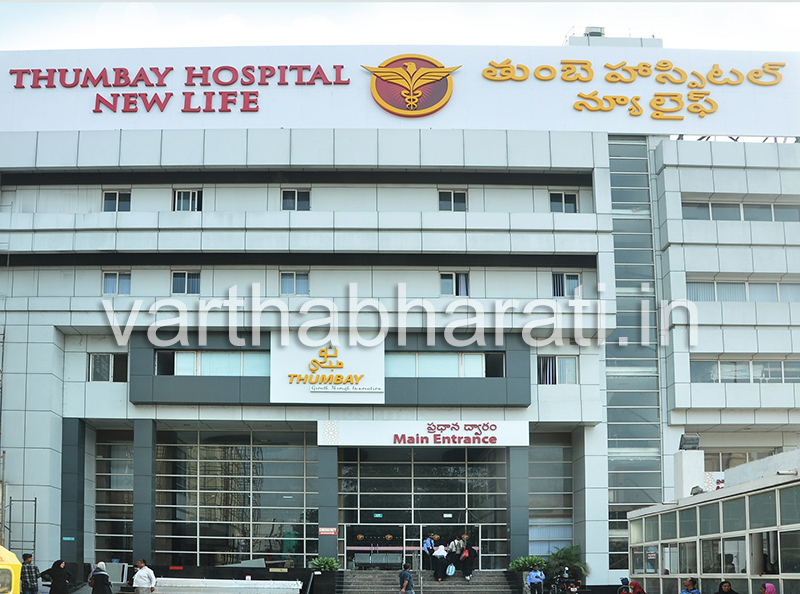 Hyderabad: Thumbay Hospital–Hyderabad, the leading academic hospital owned by Dubai-based international conglomerate Thumbay Group, has received accreditation from the National Accreditation Board for Hospitals & Healthcare Providers (NABH), the highest national recognition and a mark of quality patient care and safety. Also, the diagnostic lab of the hospital, part of the Thumbay Labs network has been accredited by the National Accreditation Board for Testing and Calibration Laboratories (NABL). The accreditations were accorded in recognition of the high standards of healthcare services delivered by Thumbay Hospital, Hyderabad a release said. The hospital received the accreditations after a stringent evaluation process based on various parameters under patient safety and quality of care. With these recognitions, the Thumbay network of academic hospitals in the UAE and India has become one of the largest networks of private academic hospitals with topnotch international accreditations. Thumbay Hospitals are already one of the largest JCI (Joint Commission International) accredited private academic hospitals in the Middle East region, while Thumbay Labs has the distinction of being among the largest networks of private diagnostic labs accredited by the College of American Pathologists (CAP), in the region. Congratulating Thumbay Hospital - Hyderabad on the achievement, Dr. Thumbay Moideen, the Founder President of Thumbay Group said, “This is a proud moment for the hospital. Across all Thumbay Hospitals in the UAE and India, our international accreditations and tie-ups are testimony to the high quality standards we follow. The teaching/academic component of our hospitals is a unique factor, and keeps us motivated to continuously set higher quality challenges for ourselves.” Elaborating on the strategic global expansion plans of Thumbay Group for the Healthcare Division, he said that the Thumbay academic hospital network will have a total of 1000 beds in the UAE, 1500 beds in India and 750 beds elsewhere in the Gulf and Africa by 2022. Thumbay Hospital New Life, part of the network of academic hospitals owned and operated by the Dubai-based diversified international business conglomerate Thumbay Group is a 200-bed family healthcare facility in Hyderabad where high quality healthcare is delivered at affordable costs. The hospital aspires to emerge as a leading super-specialty facility in the region. It delivers high-quality healthcare using the most modern equipment and cutting-edge technology combined with expert doctors, technicians and nursing staff with extensive experience. Specialties include: Anesthesiology, Cardiology, Critical Care, Endocrinology, General Medicine, General Surgery, Laparoscopic Surgery, Medical Gastroenterology, Nephrology Medicine, Neurology Medicine, Obstetrics & Gynecology, Orthopedic Surgery, Pediatrics, Physiotherapy, Radiology, Respiratory Medicine, Surgical Gastroenterology and Urology Medicine. Thumbay Group aims to develop the hospital into a hub for medical tourism and for training medical students. Plans are also afoot to establish an advanced transplant center at the hospital.